Mephisto won the '82 Oscar in the category of Best Foreign Film and is considered as one of the best films to come out Hungary. The film delves deeply into the actor as cultural pawn or as a symbol of the theatrical totalitarianism that Nazism was. Klaus Mann's book Mephisto (Penguin Twentieth Century Classics) is based loosely on the legend of Mephistopheles and Doctor Faustus. 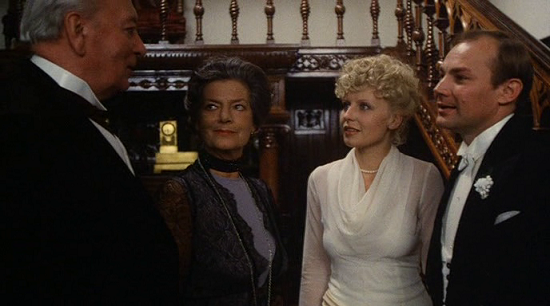 Only in Mann's version, the characters are members of his family. 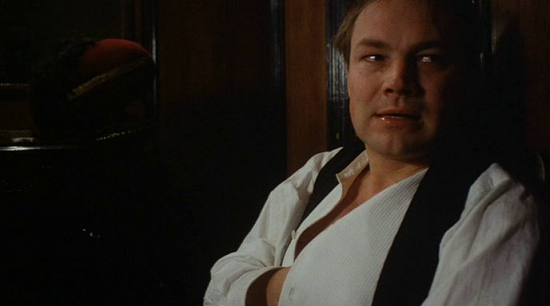 Adapted by Hungarian director Istvan Szabo in this 1981 film rendition, Hendrik Hoefgen is a provincial actor from Hamburg who arrives in Berlin during the Nazi regime's ascendancy, determined to become the greatest thespian in Germany. As his reputation grows, a Hermann Göring-type minister (Rolf Hoppe) takes notice of his performance as Mephisto. Over time, for the sake of adulation, fame and social position, he ingratiates himself to his newfound Nazi patron - a more menacing Mephisto - and is offered all that he desires in the theatrical world. 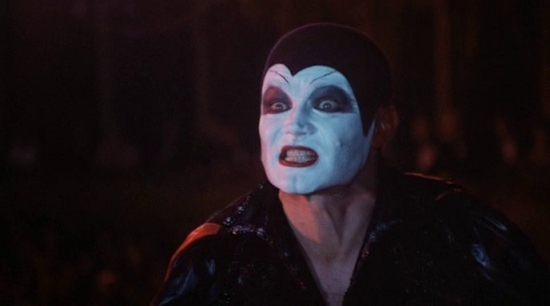 Hoefgen's great role is Mephistopheles, the devil. In a mask of stark white makeup, he tempts Dr. Faustus in the classic German drama by Goethe. "My Mephisto," the General calls Hoefgen fondly, over and over again. It is a rich irony, since the General is in fact playing the Mephistopheles role and throwing the world at Hoefgen's feet. Szabo illustrates this contrast in a remarkable scene. Between acts of "Faust," Hoefgen is asked to visit the General's box in the theater. He does, in full makeup and costume. 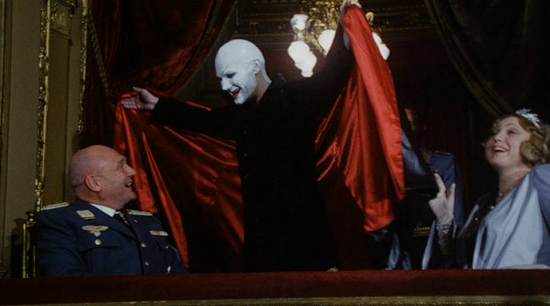 Below, the theatergoers turn and look up as the satanic figure with his red-lined cape hovers smilingly over the Nazi in full dress uniform. Szabo ends this interlude with a shot, held just long enough, showing the entire audience standing transfixed. They have witnessed the devil calling on the state. As the movie progresses, we see Hoefgen Surrenders his Communist convictions, disassociate himself from his Jewish friends and Afro-German mistress (Karin Boyd), divorce his wife. In exchange, he acts as a puppet spokesman for the Third Reich. He complies and is appointed director of the Prussian theatre, admired as an actor in his role as Mephisto and respected in the Nazi government's social circle. When Nazi control takes hold throughout Germany, Hendrik Hoefgen's colleagues escape to America, or into secret cells, preparing for resistance. His wife leaves. His friends beg him to join them. Although aware of the dangers, he remains behind, believing he can stage works unhindered by the Nazi government. Too late to realize the impracticality of his folly, he complies to survive, winning small victories that give the illusion of freedom. The day of his reckoning comes in the last minutes of the film. The sadistic minister, who aided his meteoric rise, now unwilling to compromise and assist him any further, forces him to march into what appears to be a huge, dark void - a massive open air stadium...perhaps hell (appears to be an abandoned Olympic stadium). He is forced to walk into its center. Spotlights now bear down upon him. He runs frantically to and fro. Stops. Looks into the intensely bright light and pleads: "What do you want? I'm only an actor". Absolutely haunting! It is a brilliant dramatic epiphany of the corruption of power, the unwitting collaboration due to ambition and survival rather than moral choice. Although Klaus Mann's novel more or less lampoons the complicity of his brother-in-law with the Nazis, the film explores a flawed and opportunistic, yet all too recognizably human character. One could draw parallels to what becomes of individuals and art when oppressive regimes impinge upon them. Some relent to it in order to survive; others who have a moral conscience flee to fight it. The actor Hendrik Hoefgen is played by Klaus Maria Brandauerand he his one of the most electrifying performances in the screen world. 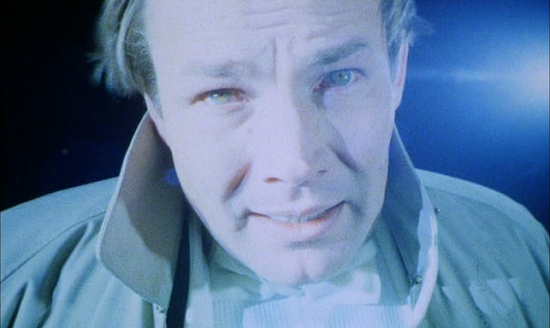 Klaus Maria Brandauer's performance is so multi-layered; he captures the essence of the actor's psyche for invention and role playing. He makes us intensely fascinated by his character while keeping us on the outside - until we discover there is no inside. 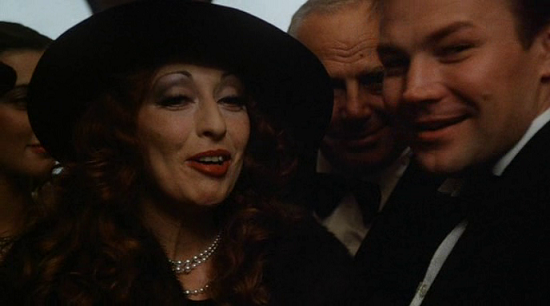 Equally mesmerizing and sinister in his role is Rolf Hoppe. Karin Boyd is also a fascinating and talented actress to watch. It is indeed a superbly modulated, fruitfully ambivalent central performance that carries the emotional and intellectual weight of the political dilemma. The viewer is slowly but surely drawn into the inner world of Hendrik Hofgen. As the film progresses one becomes aware of the myriad of layers to Hendrik's persona and eventually you will begin to peel away the various masks he so ingeniously hides behind. While his onstage performances as Mephisto are dramatic and powerful the essence of the Mephistophelian mythos is lived out off stage away from the bright lights. The manner in which he refuses to acknowledge the devastating and threatening effects of Nazism on Germany, along with the mental machinations employed by the deluded artist to justify his choice to stay in the Motherland are all a reflection of a spirit evil he has so unwittingly embraced. Mephisto is a powerful parable about fame as a disease of the spirit.